Looking for gaming all-in-one merchandise that is colossal enough to look like a clothing collection itself. Well, this is that exact enormity body harmony. 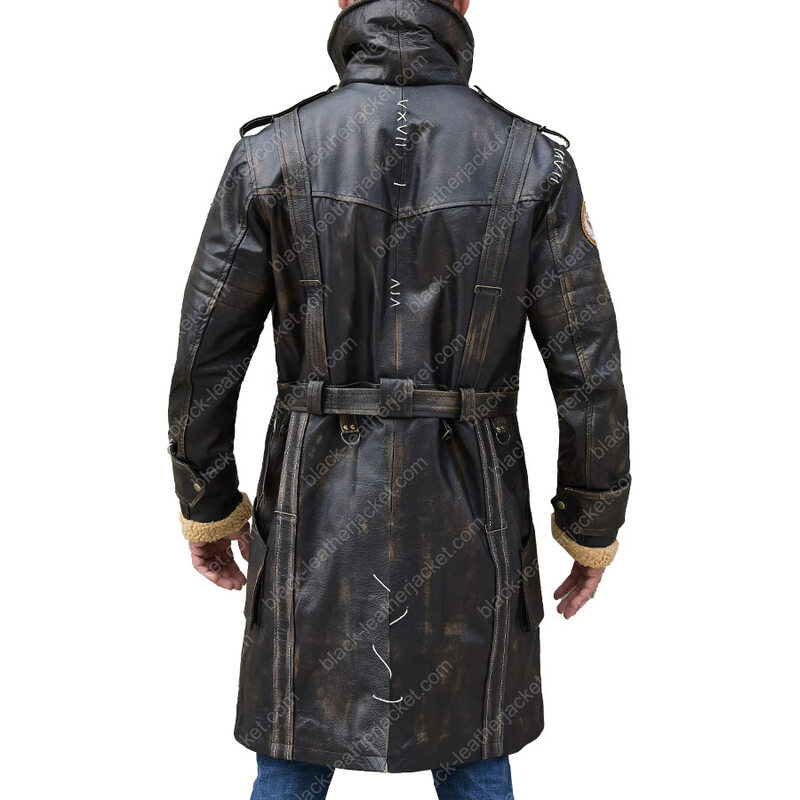 This Elder Maxson Battle Coat is directly inspired from the Fallout gaming franchise - Fallout 4 (2015) explicitly. 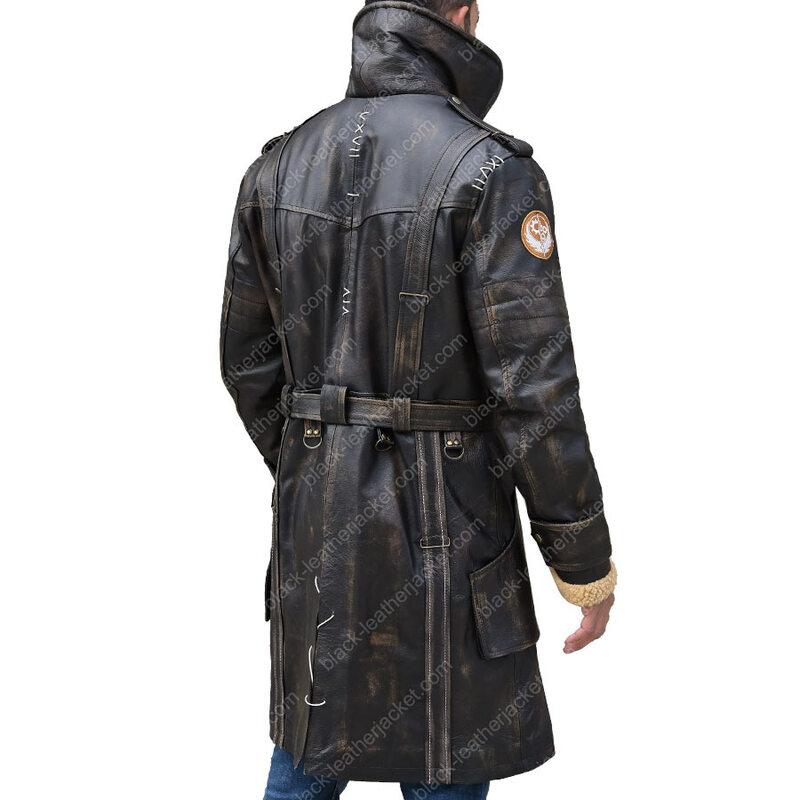 The classic coat depicts the post-apocalyptic surroundings right onto it, obviously thudded and thumped with the best of workmanship. 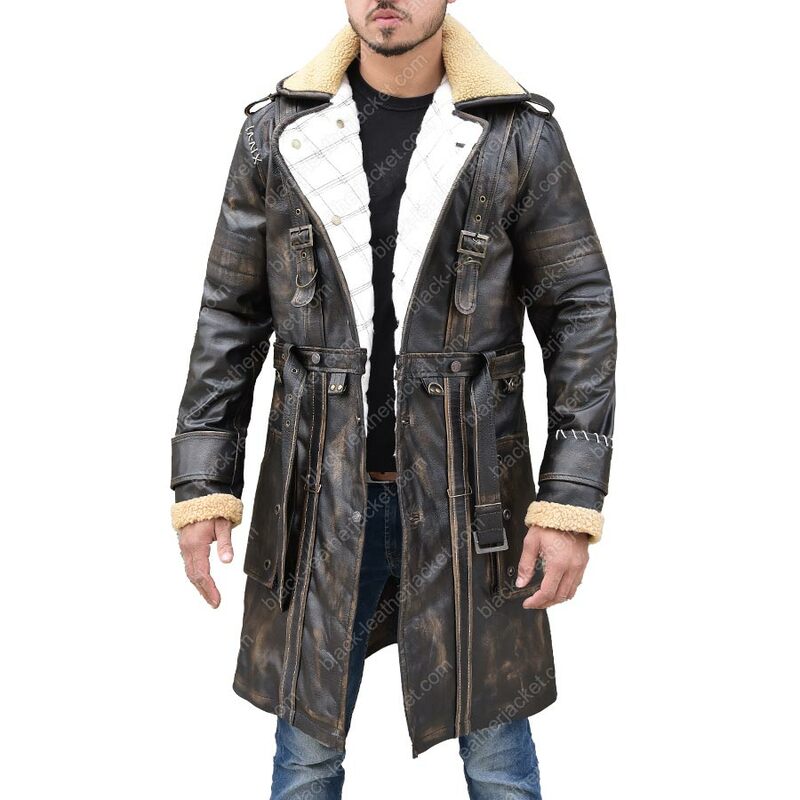 Woven in a distressed real leather extravaganza, combining in thick threads, belt strap attachments, deep-seated ringlet appendages and of course the cozy shearling on collar and cuffs adding a sense of a dominant dressing endeavor. 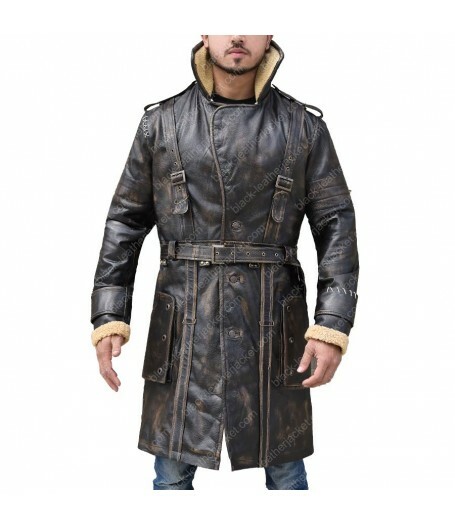 Call it a jacket, a coat, or a trench coat, a massive body toner that confuses wearer due to its one-of-a-kind stature. 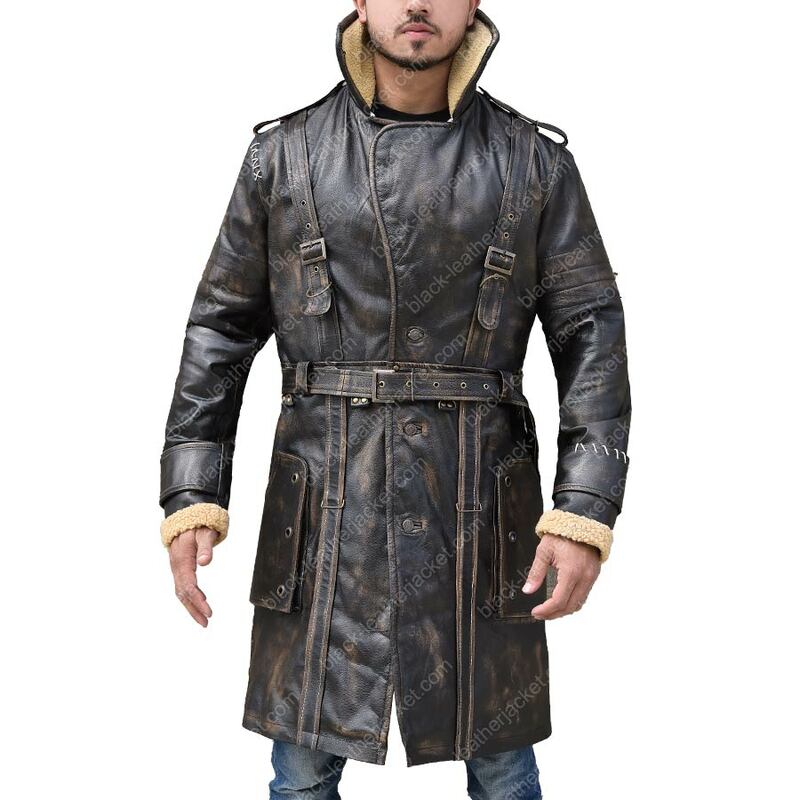 The Elder Maxson Coat is one of our brilliant ventures when it comes to mens grooming concerned predominantly to the outfit trendsetter of ours. You will find utter old culture refinement over this dignitary Fallout 4 game inspired cover-up. A sheer performer and a fashionable monopoly ready to win any time against other ‘already sold out’ fashionable flairs.